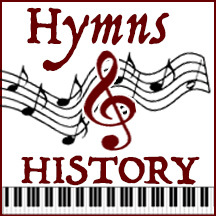 This Hymn has several version, and has been translated into many languages. Carl Boberg was a poet and elected official, best known for writing the Swedish language poem of “O Store Gud” (O great God) from which the English language hymn “How Great Thou Art” is derived. Carl was a carpenter’s son, worked briefly as a sailor, and served as a lay minister in the Mission Covenant Church of Sweden. He was the editor of a weekly Christian newspaper, Sanningsvittnet (Witness of the Truth), from 1890 until 1916. He served in the Riksdag for 20 years from 1912 to 1931. He published more than 60 poems, hymns, and gospel songs, including a collaboration with Swedish hymnist Lina Sandell. “How Great Thou Art” is a Christian hymn based on a Swedish traditional melody and a poem written by Carl Boberg in Mönsterås, Sweden in 1885. It was translated into German and then into Russian. In the early 1920s, English missionaries Stuart K. Hine and his wife, Mercy Salmon Hine, were ministering in Poland, where they learned the Russian version. He created English words for the song, and arranged the Swedish melody to fit. This is the hymn we now know as How Great Thou Art. It was popularised by George Beverly Shea and Cliff Barrows during the Billy Graham crusades. It was voted the United Kingdom’s favourite hymn by BBC’s Songs of Praise. “How Great Thou Art” was ranked second (after “Amazing Grace”) on a list of the favourite hymns of all time in a survey by Christianity Today magazine in 2001. The Manna Music version of the song was popularized as the “signature song” of the 1950s Billy Graham Crusades. It was popularized by George Beverly Shea and Cliff Barrows during Billy Graham crusades. A program note from a Gustavus Adolphus College, Minnesota, concert tells listeners that Dr. J. Edwin Orr (15 January 1912 – 22 April 1987) of Fuller Theological Seminary in Pasadena, California, discovered the song being sung in a small village near Deolali, India by a choir of the Naga tribe from Assam near Burma. The tribesmen had arranged the harmony themselves, and a Mennonite missionary had transcribed it. Their father was Vernon ‘Tim’ Spencer (13 July 1908 – 26 April 1974), a converted cowboy, and former member of The Sons of the Pioneers, who had founded the newly established Manna Music of Burbank, California in 1955. Mr. Spencer negotiated with Mr. Hine for the purchase of the song. The first time “How Great Thou Art” was sung in the United States was at the Forest Home conference in 1954, led by Dr. Orr. In honour of this event, Forest Home had the words to the song carvedon a polished Redwood plaque. This plaque hangs on the wall of Hormel Hall at Forest Home to this day, enabling people to sing it at any time, to help in learning the song, and to raise hearts to the Lord in impassioned praise. The first major American recording of “How Great Thou Art” was by Bill Carle in a 1958 Sacred Records album of the same name. The greatness of our future inheritance.